I'm happy to announce a recent upgrade to the website that allows visitors to browse the Black & White versions of my prints. 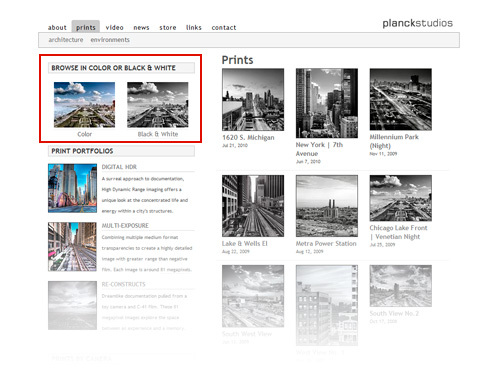 At the top left of the Prints page there's a new section that allows you to toggle the page between Color and Black & White. If you select Black & White, all the thumbnails on the page update to display your choice. Additionally, all subsequent links will show you more details about the BW versions of each print.